Following a solid first-up maiden win at Pakenham, Cranbourne-trained Moana Jewel heads to Sandown for her city debut over 1400m. One rival trainer excited to see the debut win of Lindsay Park's Ocean Knight is Shea Eden . The Cranbourne-based Eden bought the yearling brother to the two-year-old at the Karaka sale in New Zealand earlier this year. "We identified quite early the Ocean Parks were a breed to look at and that's why we bought the brother to Ocean Knight," Eden said. The trainer has some insight into the breed, preparing one of the 2012 Cox Plate winner's daughters Moana Jewel who makes her city debut at Sandown in Wednesday's Dream Thoroughbreds Handicap. The filly has raced on two occasions, finishing second at Moe last September before returning to win first-up at Pakenham on April 5. "We gained a fairly good opinion of her last preparation before she ran second at Moe," Eden said. "We identified she would appreciate a bit of time, furnish and develop with a spell, which she did, and she came back and won at Pakenham fairly convincingly." 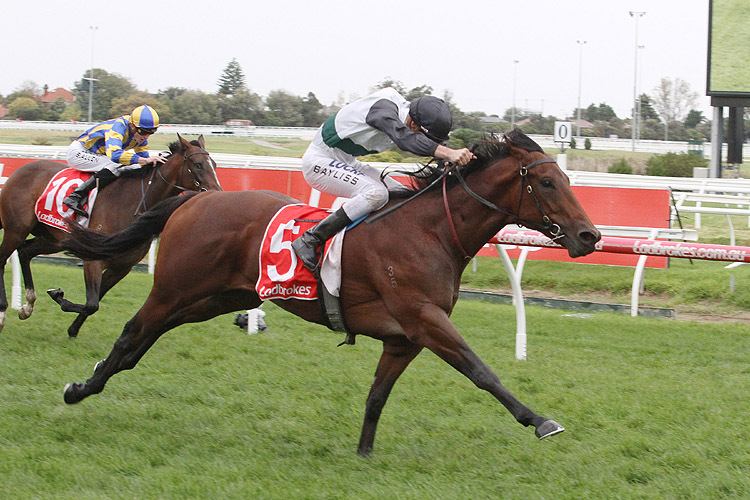 Eden expects the 7 f on Wednesday to be perfect for the three-year-old after her return victory over 1200m. He said Moana Jewel was exposed early on the long Pakenham straight and showed a lot of fight. "When you're a touch inexperienced and forced to face the breeze quite early, I thought it was a gutsy win," he said. "I think she'll be better ridden back, midfield with cover, not necessarily where we rode her at Pakenham, but that's the way it panned out." Eden has grander plans in mind for the filly and would like to see her in black-type company before the end of the season. Whether those plans take in trips to Adelaide, Queensland or staying home in Melbourne, Eden will be guided by her performance on Wednesday and how she handles the step up in distance. Nikita Beriman, who rode the filly at her debut, takes the ride. Moana Jewel was the third favourite on race eve at $7.50 with Platinum Angel ($2.20) and Extreme Bliss ($4.60) more fancied.